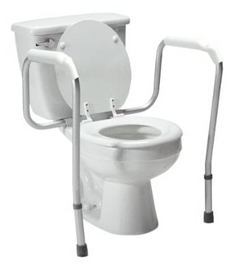 A urinal that is commonly used at the bedside by men that have difficulty getting up to go to the bathroom at night. Also used when men are home alone during the day and cannot safely walk on their own to a toilet. 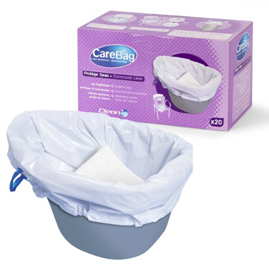 A plastic bag with an absorbent liner that is placed in commode catch pales to minimize the amount of clean up needed after a user defecates. Great for removing smelly odors, especially for commodes used in the bedroom or common areas. 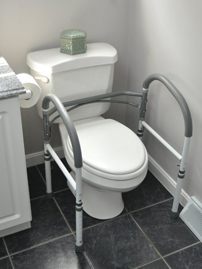 A rigid frame that surrounds your toilet. 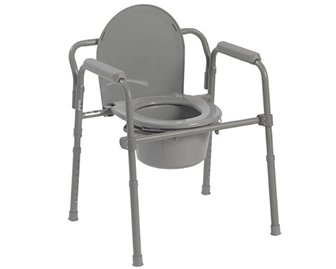 It is used as a toilet transfer aid, allowing an individual to push off the frame to get into standing or use it as a guide to slowly lower oneself onto the toilet.